Two sociopaths meet by accident and discover they share a vision; greed and revenge. As they join forces, they decide not only who will live and who will die, but how they will profit from it. A revolutionary new jetliner unexpectedly falls from the sky and miraculously, there is one survivor pulled from the wreckage. Little does she know, her nightmare has only just begun. A retired private investigator leads a life many would envy. He lives aboard a boat on a beautiful Caribbean island where he writes successful mysteries, but struggles with his personal relationships. He and his fiancée witness a plane crash that will alter the course of their lives. As a result of the unexplained crash, both the airline and the manufacturer are faced with financial ruin. They join forces with an FBI agent involved in the NTSB investigation, and soon discover there is more involved than just airline safety. 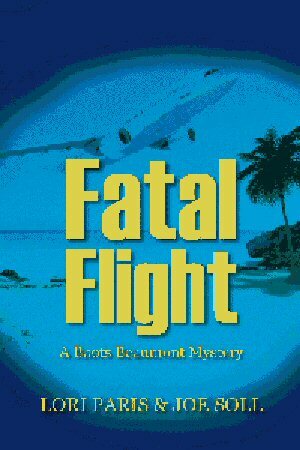 Fatal Flight is a chilling novel that exposes the dark side of industrial espionage, trafficking of innocents, and the human condition. Boots Beaumont and Frank “Red” Barron reunite to investigate the inexplicable events which threaten the safety and the lives of airline passengers everywhere.